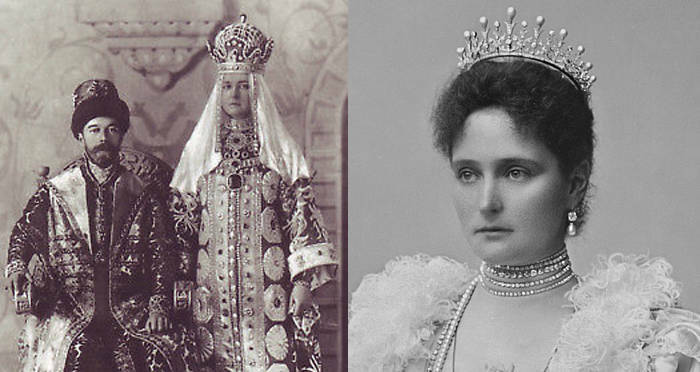 Though born and wedded royal, the life of Tsarina Alexandra proved to be anything but charmed. 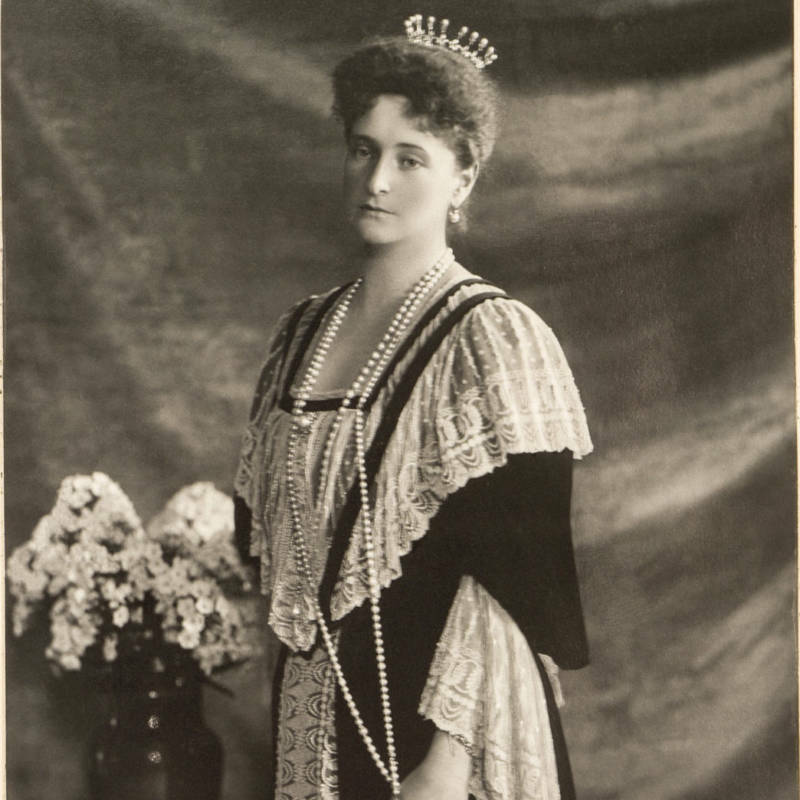 Alexandra Feodorovna was born Princess Victoria Alix Helena Louise Beatrice in Darmstadt, Germany, in 1872. Her royal ties to England’s Queen Victora as her granddaughter gave her clout in Europe and she enjoyed all the trappings of a charmed life. On November 26, 1894, the two married. 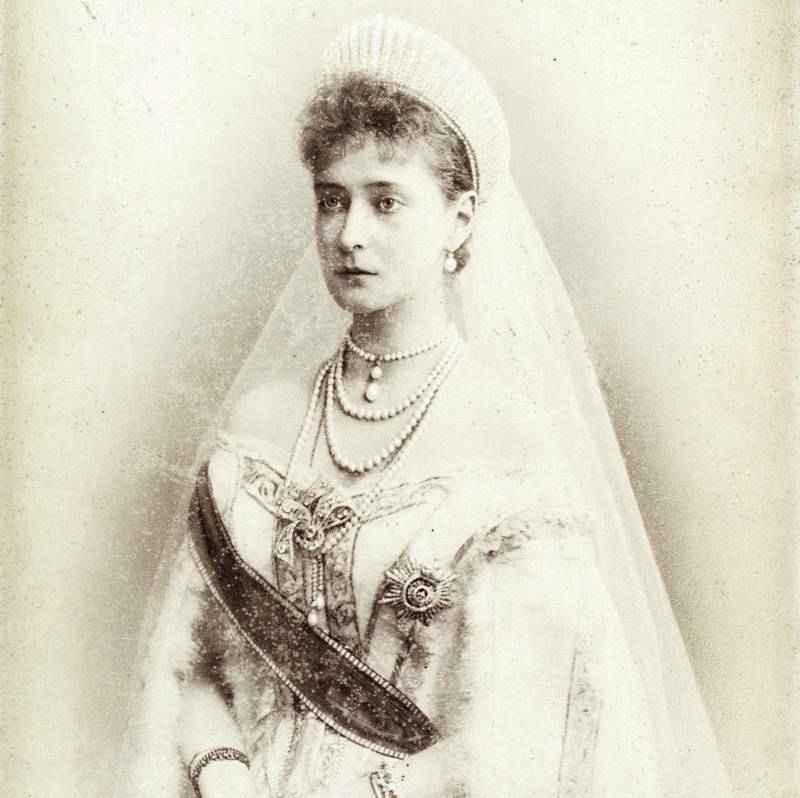 As she was indoctrinated into the Russian Orthodox Church, Princess Alix took on a new name, Alexandra Feodorovna, and left her old life behind. The occasion of her wedding was sad, though. 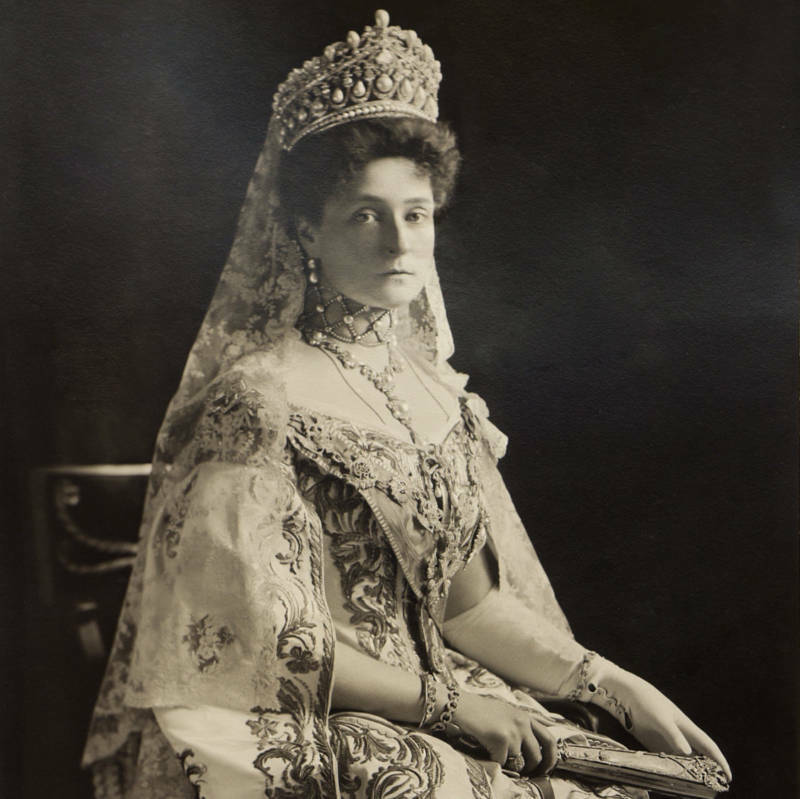 Nicholas’s father had just died of kidney failure at age 49.
romanovempire.org Empress Alexandra in her opulent coronation dress, encrusted with diamonds and pearls, circa 1896. Wikimedia CommonsRasputin, the monk who had the ear of Empress Alexandra. 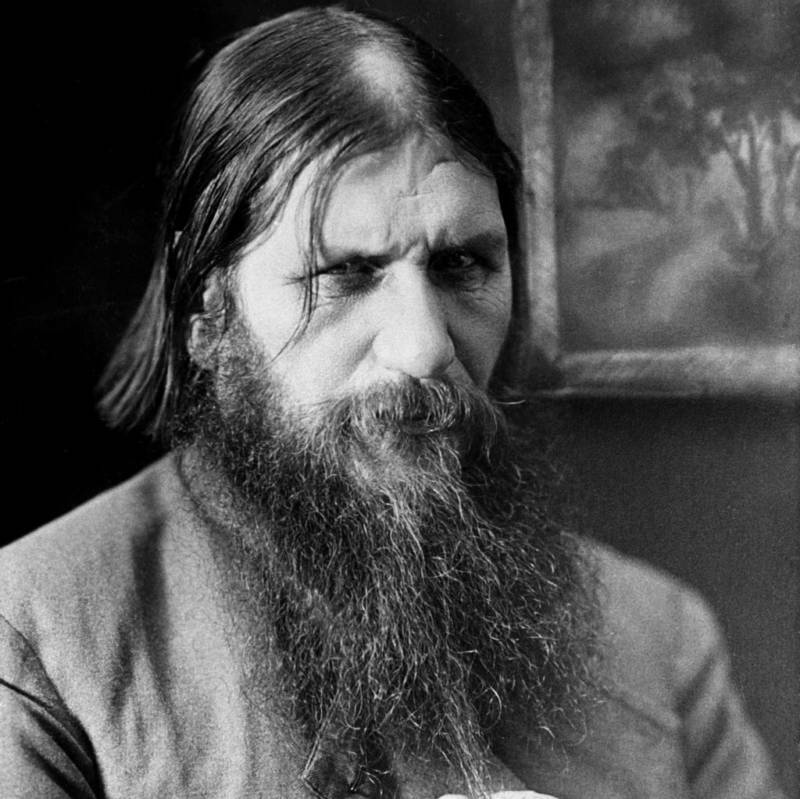 Enter Rasputin, the notorious monk and mystic. He supposedly cured young Alexei’s hemophilia when the toddler was three years old in 1908. He became the queen’s confidante and adviser, even though most of Russia (and the royal court) shunned Rasputin’s brand of fanatical mysticism. Three months later in February 1917, food shortages and famine gripped several Russian cities. Paying for World War I had sapped the country’s resources. People went on strikes and riots all over the country. Vladimir Lenin rose as the leader of an anti-Tsar revolution. His party was known as the Bolsheviks. 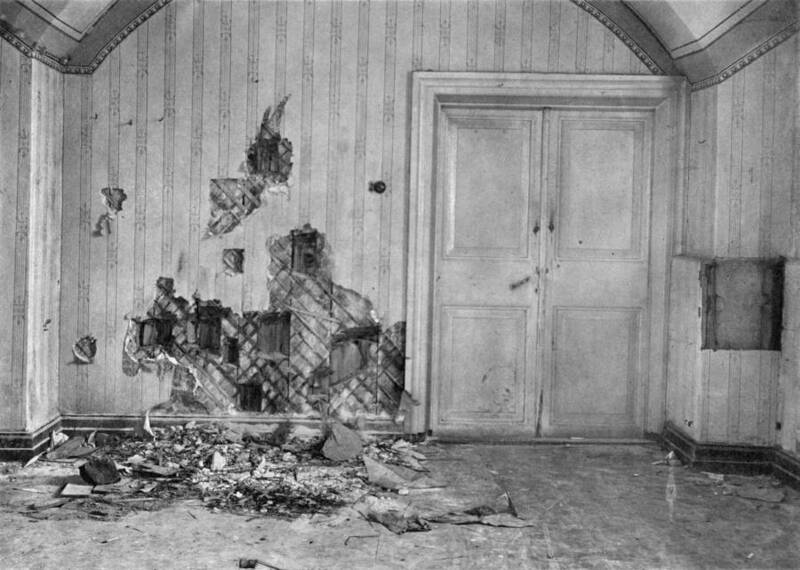 Wikimedia CommonsThe basement of Ipatiev House, where the Romanovs were summarily executed. The wall was torn away to try to find bullets and evidence of the executions. Experience more about the Romanov family in these stunning photos of their last days or explore the Rasputin history you missed out on in class.